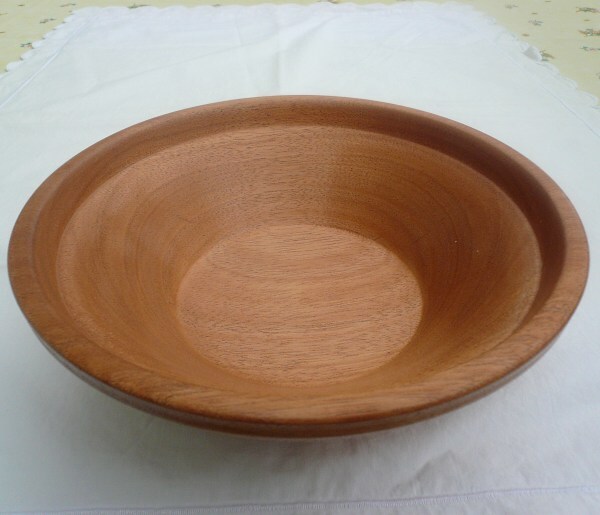 Color/Appearance: Heartwood color is variable, ranging from a very pale pink to a deeper reddish brown, sometimes with streaks of medium to dark reddish brown. Color tends to darken with age. 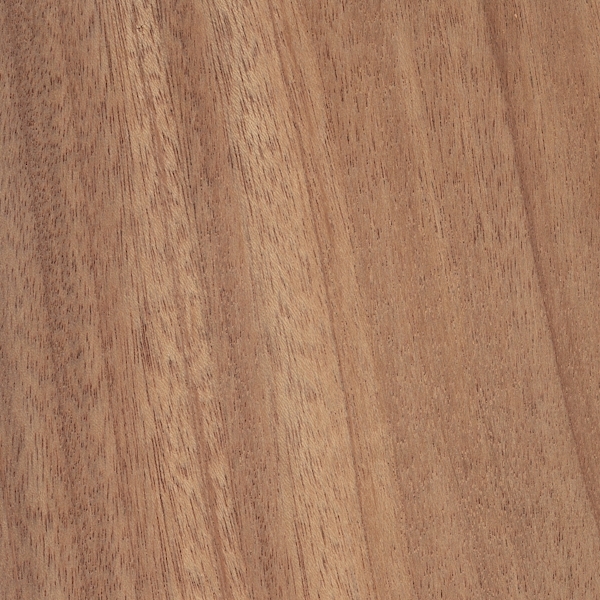 Quartersawn surfaces can also exhibit a ribbon-stripe appearance. 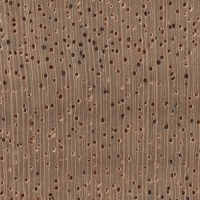 Endgrain: Diffuse-porous; large to very large pores, very few; solitary and radial multiples; orange/brown deposits occasionally present; growth rings usually indistinct, though sometimes distinct due to terminal parenchyma; rays medium to wide, fairly close spacing; parenchyma scanty to vasicentric, and occasionally marginal (not typical for Khaya spp.). Rot Resistance: Rated as moderately durable; moderate to poor insect/borer resistance. Workability: Easy to work, glue, and finish. Tearout can sometimes be a problem if the grain is interlocked. 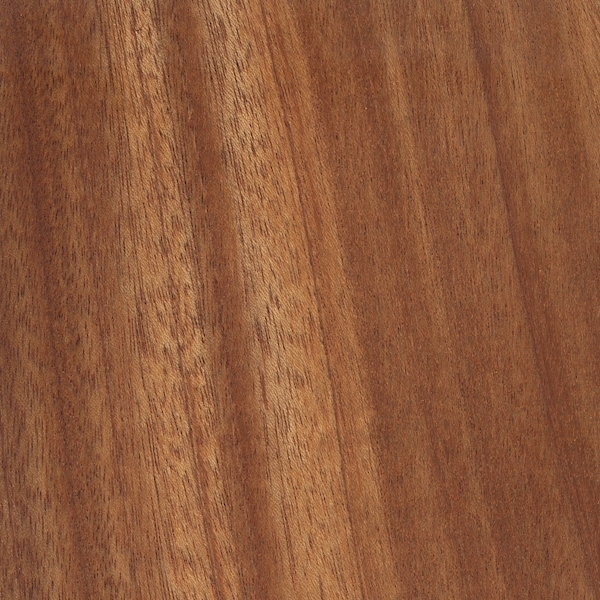 Allergies/Toxicity: Although severe reactions are quite uncommon, African Mahogany has been reported as a sensitizer. Usually most common reactions simply include eye and skin irritation. See the articles Wood Allergies and Toxicity and Wood Dust Safety for more information. 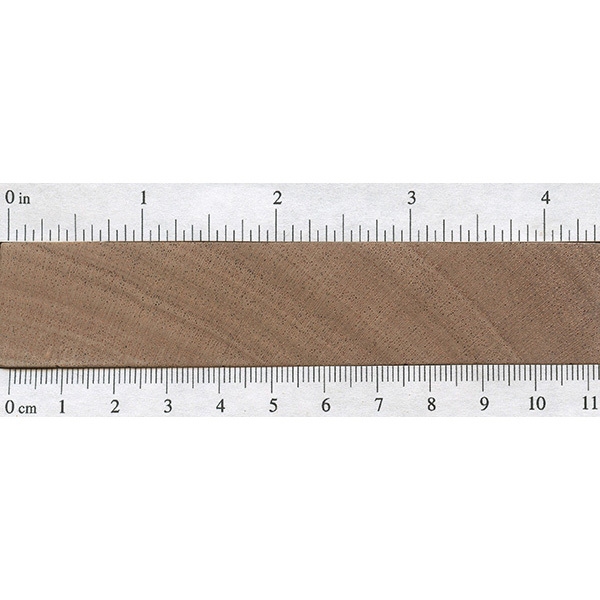 Pricing/Availability: Readily available in a variety of lumber sizes, as well as plywood and veneer. Prices are low to moderate for an imported hardwood. Sustainability: This wood species is not listed in the CITES Appendices, but is on the IUCN Red List. It is listed as vulnerable due to a population reduction of over 20% in the past three generations, caused by a decline in its natural range, and exploitation. 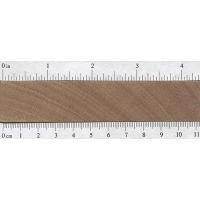 Common Uses: Veneer, plywood, turned items, furniture, boatbuilding, and interior trim. Scans/Pictures: A special thanks to Steve Earis for providing the turned photo of this wood species. I am making neck assemblies for violins and will need to know if this would will be hard enough to sustain long use of violin pegs. Violins necks are usually made of hard maple and I have a lot of mahogany I think it’s African mahogany and would like to know if anyone has used them for this purpose and also what is the hardness of mahogany versus Hard maple? 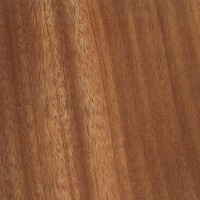 I have used khaya for several fiurniture projects as a substitute for “true” mahogany. I’ve turned it for columns and finials, and have carved it for ball and claw feet and relief carvings. This wood is tricky, particularly for carving. That pretty ribbon grain presents real problems for a carver. 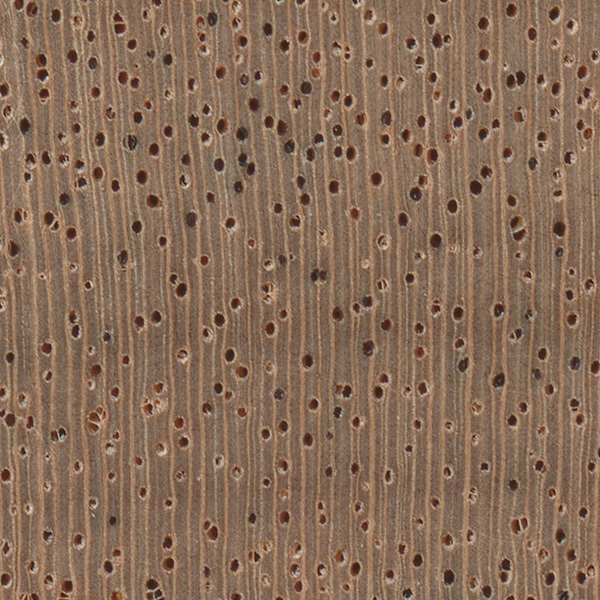 There are areas where it carves beautifully, with consistent density and even grain. Then there are areas that are “chippy” and don’t carve well from any direction. They provide a wonderful opportunity to perfect ones slicing cut. The end result is usually well worth the frustration but know going in that patience will be tested along the way. I would like to inform you that any of your associate members would like to import mahogany wood from Democratic Republic of Congo please contact me for official shipment from MOMBASSA KENYA PORT with all Required documents with country of origin Bill’s. My Mobile Number is +919321486735 and Whatts App on the same Number.Email is pillohome@yahoo.com. 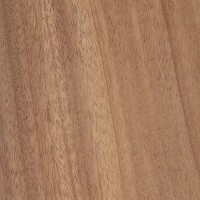 I have available large quantities of African Mahogany (Khaya Anthotheca), Iroko (Chlorophora Excelsa), and Undianuno/Freijo/Louro preto (Enfandrophragna Candilheiy?) for export. Can someone give me any indication of the cut price per m3? The wood is located in Africa and can be shipped anywhere in the world. Thank you. The article states, “light-reflecting optical phenomenon known as chatoyancy” as a characteristic. Chatoyance is not REFLECTED light, it is REFRACTED. Largely transparent cell walls act as cylindrical lenses allowing light which enters the cell to be re-emitted mostly perpendicular to the cell’s orientation. Read the article again, slower this time. To be fair, it did say reflected. I recently corrected it. I used mahogany to trim out 4 cedar exterior pergola posts. I want to know if the mahagony will turn gray over time as the posts have? The wood was not sealed. If not can they be stained to a gray tone? thanks.